Today I conducted the funeral service of a church member whose kidneys completely shut down. Back in 2002 he retired after selling insurance for State Farm for over 26 years. Insurance is something most adults purchase to help protect them from loss due to damage, illness, or death. And, of course, there are various types of insurance: home, auto, life, health, dental, disability, travel, credit, boat, motorcycle, etc. With regular insurance you shop around for best price and have various companies to choose from. Soul insurance is only available through Jesus Christ! Jesus Himself said, “I am the way, the truth, and the life. No one comes to the Father except through Me” (John 14.6). Therefore, “there is no other name under heaven given among men by which we must be saved” (Acts 4.12) and “there is one God and one Mediator between God and men, the Man Christ Jesus” (1 Timothy 2.5). 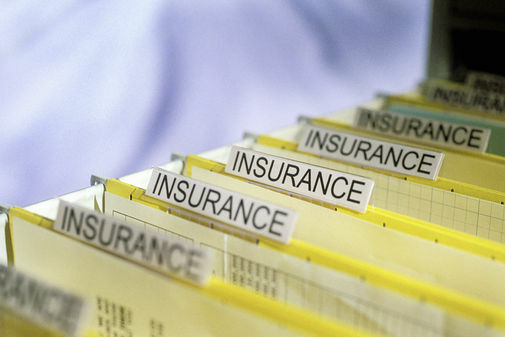 With regular insurance you may qualify for better rates, depending upon your health. With soul insurance we’re all in the same shape: We’re all equally sinful; all totally depraved. Romans 3.10-11 pulls no punches when it declares, “There is none righteous, no, not one…There is none who seeks after God.” In other words no human being on his own seeks for God. No one ever has or ever could do any good that merits salvation. That’s because “all have sinned and fall short of the glory of God” (Romans 3.23). With regular insurance some things are not covered (e.g. home owners insurance does not always cover damages due to flooding). With regular life or health insurance, pre-existing conditions may prevent you from obtaining the coverage you desired. With soul insurance everything is covered! Because of God’s amazing grace, the person who trusts Christ as his Savior has ALL his sins forgiven. What an awesome reality: “where sin abounded, grace abounded much more” (Romans 5.20; cf. 1 Corinthians 6.9-11)! With regular insurance there is usually a grace period. It may be as short as 24 hours or it may be as long as 30 days, but as long as payment is receive during that time period, your coverage continues. With soul insurance we’re currently living in a grace period (commonly referred to as the “age of grace”). “For the grace of God that brings salvation has appeared to all men” (Titus 2.11). Jesus Christ was grace personified who came to make salvation possible for all mankind. However, within the “age of grace,” there are specific windows of opportunity to trust Christ, specific times when God’s Spirit is working in our hearts, convicting us of sin and convincing us that Christ is the answer. In other words, you can’t get saved, you can’t get right with God, you can’t “take out soul insurance” anytime you get good and ready. Jesus made that clear when He said, “No one can come to Me unless the Father who sent Me draws him” (John 6.44). This means that no human being in the world, left to himself, would ever choose or even have the desire, not to mention the ability, to place his trust in Christ for salvation. With regular insurance you pay the premiums. Wow…soul insurance is made possible by Jesus Christ. It’s made available “free of charge” because the price for making it possible has already been paid in full, and it’s benefits last forever! No wonder, then, the hymn writer said, “How great thou art!